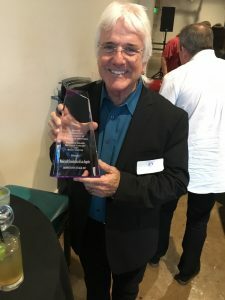 On behalf of the Music Fund of Los Angeles, in Spring 2018 Secretary/CFO Gary Lasley attended an awards event for donors to the Pershing Square Summer Concert Series. The Fund is proud for the fourth year to support free performances in the community. 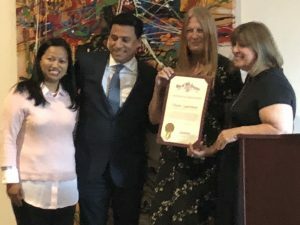 At the same event, Music Fund of LA Golf Committee member and AFM Local 47 Live Performance Business Agent Diane Lauerman was honored by LA City Councilmember Jose Huizar for her 10 years of service on the Pershing Square Park Advisory Board. This year the Music Fund is once again co-sponsoring the Summer of Salsa concert series at the LA Plaza de Cultura y Artes, located across from Olvera Street in downtown L.A. The concerts take place on the first Friday nights of May through September 2018. For a full listing of performances, please visit LA Plaza de Cultura y Artes on Facebook.